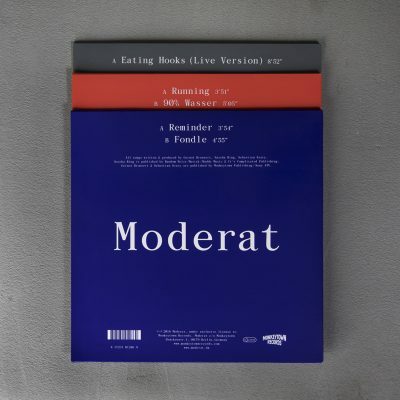 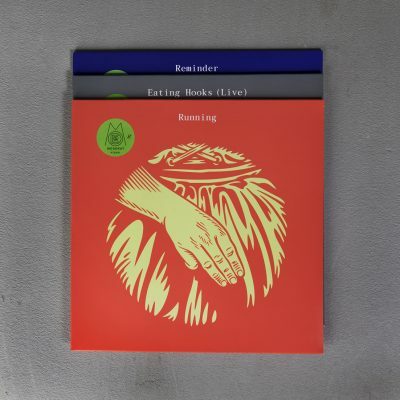 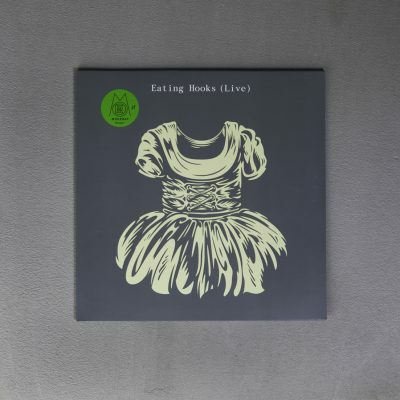 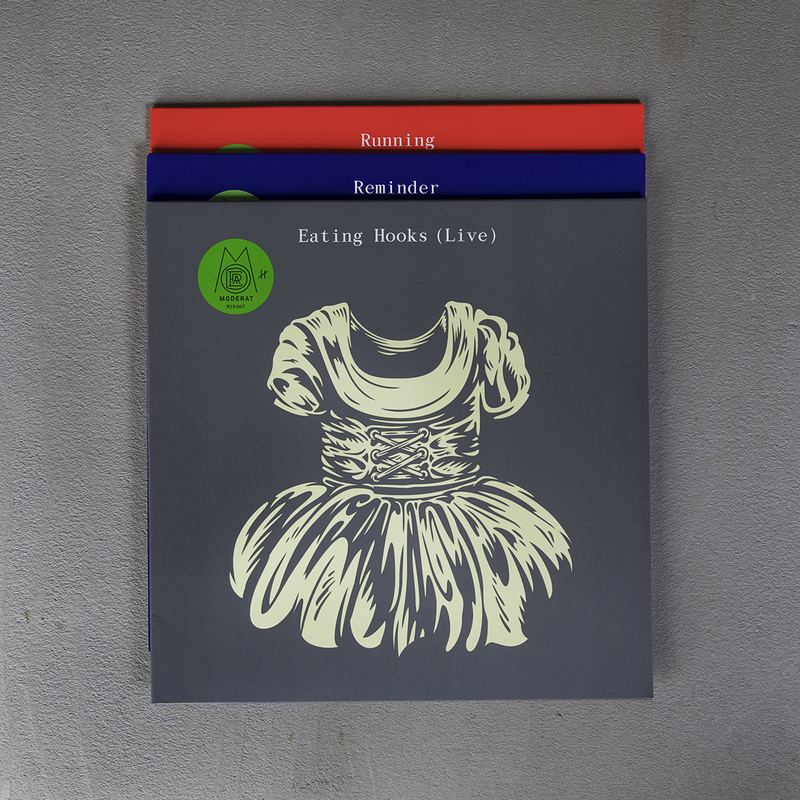 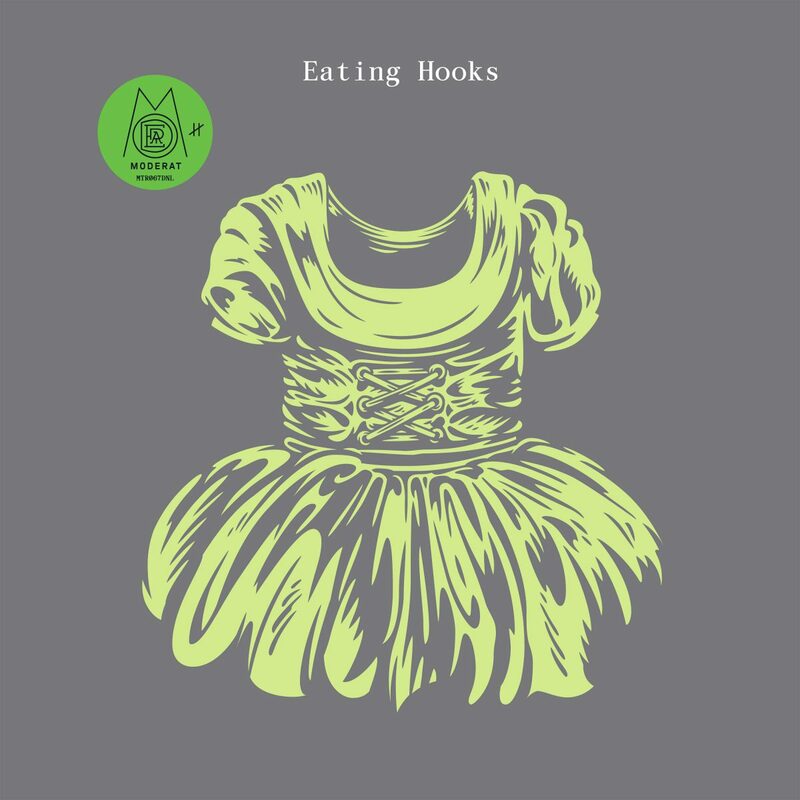 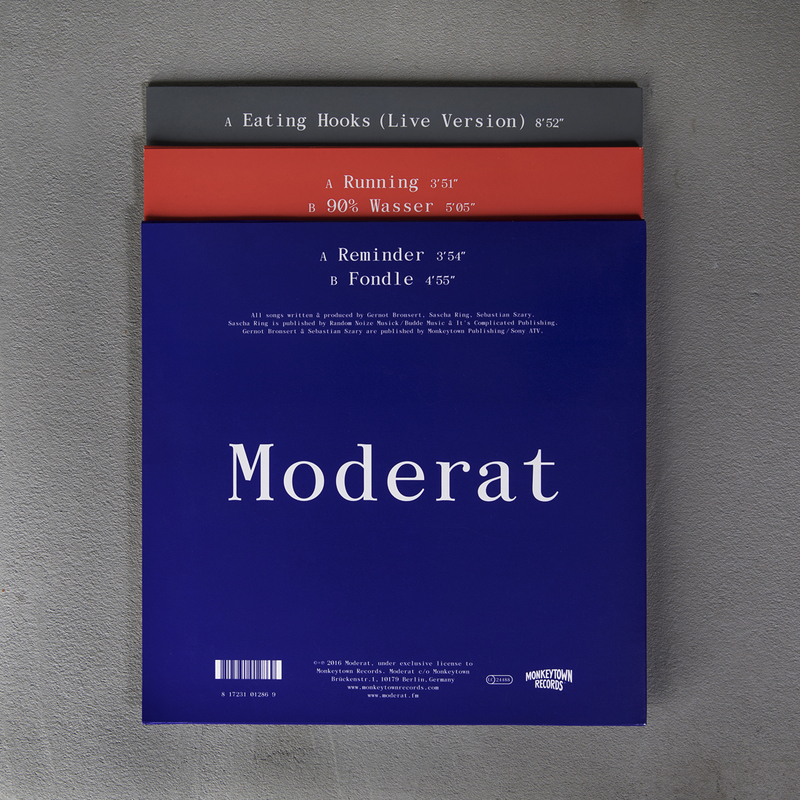 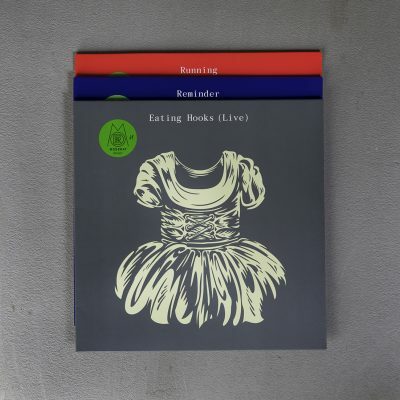 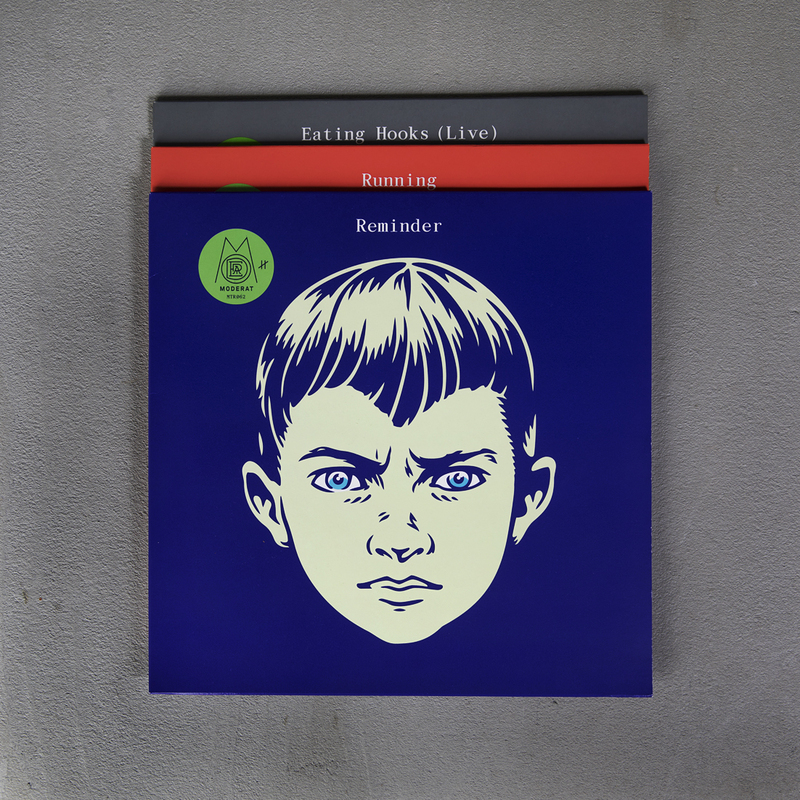 The “Eating Hooks” single is a recording taken from the band’s rapturous live show that sold out concert halls in both Europe and North America during their spring 2016 tour – and it does not disappoint. 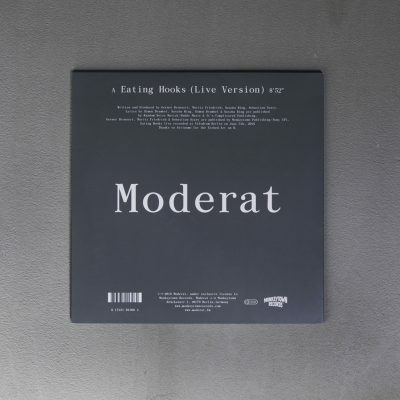 Amid the ebullient cheers and fervent metronomic applause of their fans, Moderat perform a nigh-pitch-perfect rendition of the studio version, only to then twice feint the outro into a second and third climax of buzzing, jubilant melodic techno with auspicious Danish inflections and interpolations of the remix by frequent collaborator Siriusmo. 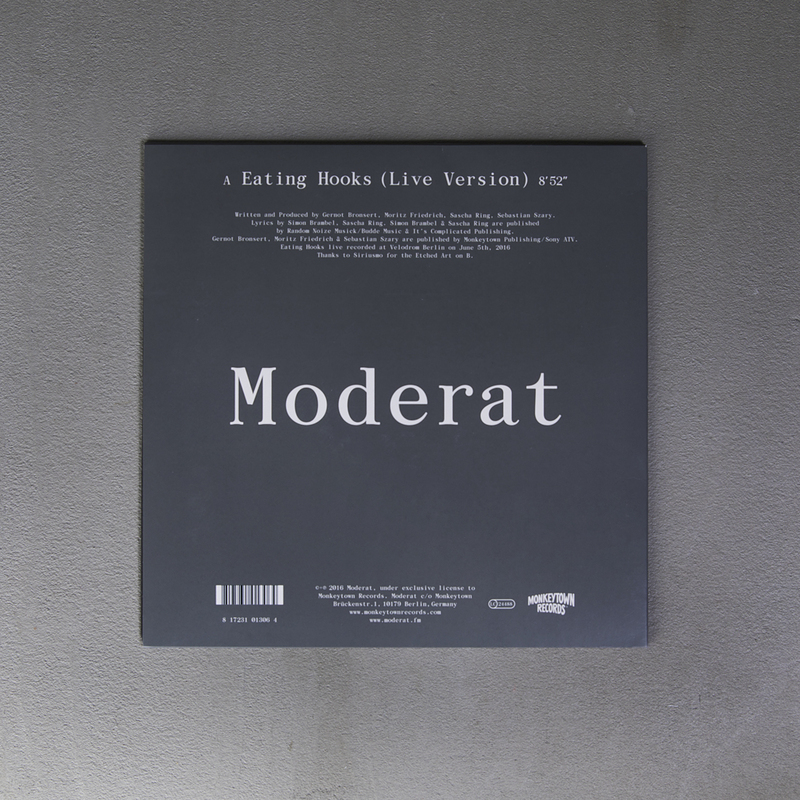 The roars of an elated crowd often punch through the nonetheless crystal clear live mix. 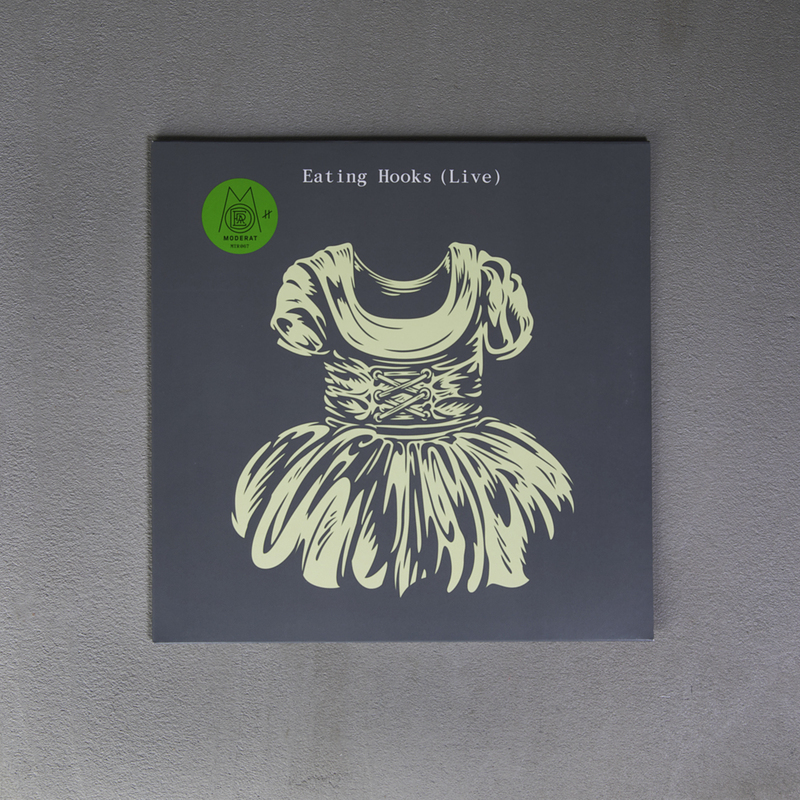 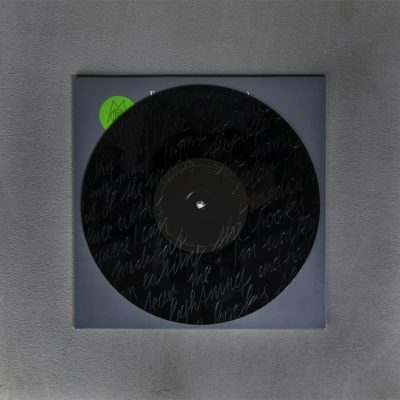 This momentous occurrence has been immortalized in 10” wax, with the flipside adorned with bespoke etchings by Siriusmo.